PWA- uses modern web capabilities to deliver an app-like experience to the users..! 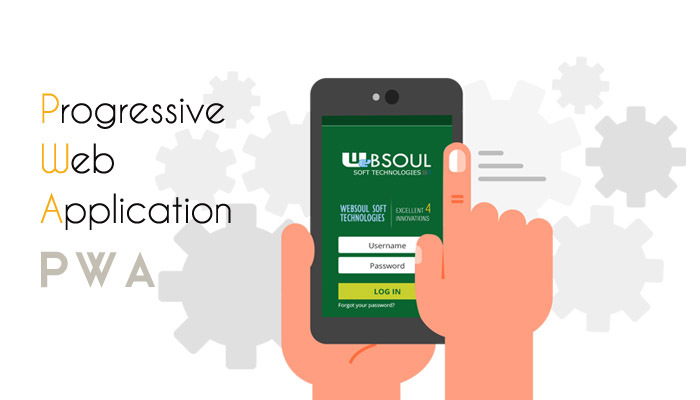 Websoul Soft Technologies is the one of the leading company in Progressive Web Apps development based in Kottayam, Kerala. We have an experienced pool of web app professionals who have diverse experience in development and provide a great user experience to the users.A Progressive Web Applications use the best and most advanced technologies and makes the web equally competitive as like mobile applications. Progressive Web Apps are installable and live on the user's home screen, without the need for an app store. You can specify home screen icons, the page to load when the app is launched, screen orientation, and even whether or not to show the browser chrome. Progressive Web Apps (PWA) is the latest technology that delivers a new way to deliver amazing experience to the users. PWA’s are fast, reliable and engaging and delivers an app-like user experience to the users. It’s considered as the next generation for the web and other devices.